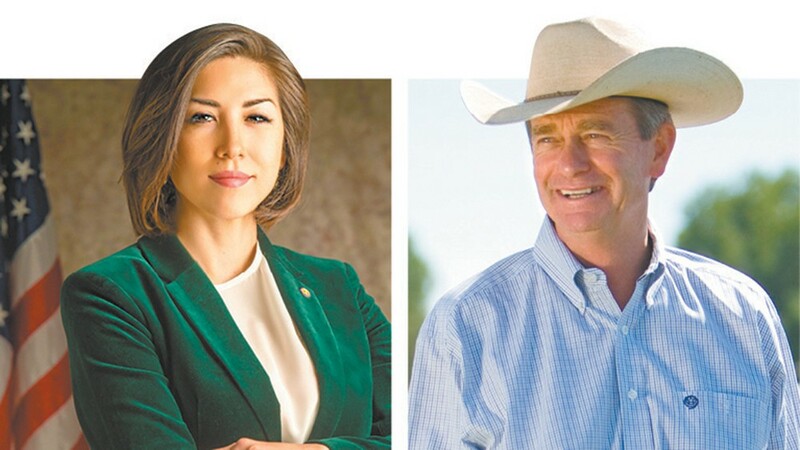 Who will be Idaho's next governor: Paulette Jordan or Brad Little? Idaho's next governor: Democratic Rep. Paulette Jordan or Republican Lt. Gov. Brad Little. If you ask Idaho Republican Party Chairman Jonathan Parker, 2018 is a banner election year for Idaho. "This election cycle is a once-in-a-generation cycle with us having so much turnover from governor, to lieutenant governor, a seat in Congress, and all 105 legislative seats are on the ballot," Parker says. "It's a very significant year. ... We're doing our best to get our team elected." At the top of the long list of competitive races is the open competition for governor. Facing off are Republican Lt. Gov. Brad Little and Democratic state Rep. Paulette Jordan, who both opted to leave their posts to run for the state's highest office. In Little, Republicans have a candidate who will likely carry on many of the conservative values of exiting Gov. Butch Otter. But as part of the establishment government, he doesn't carry much appeal to many whose views tack even further to the right, particularly in North Idaho, explains Jasper LiCalzi, chair of the Department of Political Economy at the College of Idaho. "He's not Trump, he's not outrageous, he's not against all government, he doesn't believe in conspiracy theories," LiCalzi says. "That makes him more popular down here in the Treasure Valley, and especially in Eastern Idaho." Meanwhile, in Jordan, Democrats have a candidate who is drawing major attention, not only for her potential to make history — she'd be the first female governor in the state and the first Native American governor in the country — but by actually winning over crowds, LiCalzi says. After a speaking event he recently hosted where the candidates sat down to talk about tax policy at College of Idaho, students lined up to take selfies with Jordan, who LiCalzi calls "a bit of a rock star." "She is attracting more enthusiasm amongst voters than the Democrats have for a while," he says. "She's not just another old guy from the north end of Boise running again." Jordan, 38, grew up in rural North Idaho, where she returned after attending University of Washington. She served on the Coeur d'Alene Tribal Council from 2009 to 2012, then ousted a Republican incumbent representing Benewah and Latah counties in the Idaho Legislature in 2014. She kept the seat in 2016, then opted to leave the position early this year to focus on the race. In particular, LiCalzi says she's attractive to women, younger voters and people who maybe haven't otherwise been paying attention to politics. "She talks about some issues that motivate them. She used the word 'marijuana,' my goodness, that's, like, groundbreaking," LiCalzi says. "The charisma — it's like Obama and such. It won't make a difference though in the end." In a partisan August poll, paid for by Idaho Voices for Change Now, almost a third of voters said they were undecided, and Jordan trailed Little by 8 points. Idaho is a tough place to poll, though, LiCalzi says, and he thinks many of those "undecided" voters likely already plan to vote Republican. "It's a big state, and it's hard to get people to answer questions," he says. "People want to say they're independent, yet they'll vote for all Republicans." While the Democratic base has been more motivated, there's no way LiCalzi sees Jordan winning short of "some kind of shock to the system." He thinks she'll outperform A.J. Balukoff, the Democrat she bested in the primary who lost by about 15 points against Butch Otter four years ago, but the only real way LiCalzi sees Jordan winning is if "some kind of Roy Moore thing were to happen to Brad Little." "I think that's impossible," he quickly adds. "[Little is] the most squeaky clean person I've ever met." That said, Democrats are seeing more enthusiasm, with younger people lining up not only to vote for Jordan, but to try to get others to do the same, says Idaho Democratic Party Communications Director Lindsey Snider. The party hopes her run will inspire others to run in 2019 and 2020. "There's something about her that just makes people want to get involved and make a difference," Snider says. "It's time for new leadership, not from career politicians but from people who really want to do good in our state. Paulette is that candidate who really wants to make changes for the better, improve Idaho, our education system, public lands, and our health care system. It's because we love Idaho that we want to improve it." Republicans, of course, would disagree that a change is needed. Idaho is doing great, says Parker, the Republican Party chair, and Little will continue to build on the types of investments needed in education and business to keep up the massive population growth rate in Idaho and keep more young people in the state. 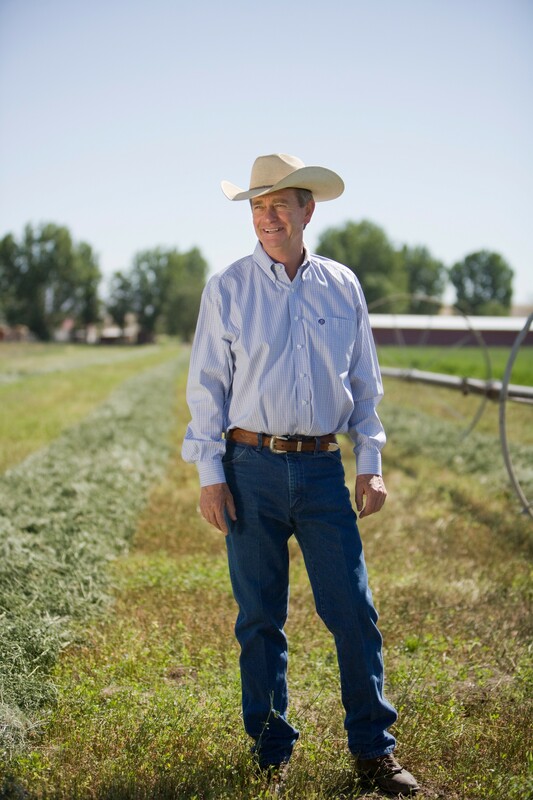 Little, 64, grew up on his family's ranch in Emmett, Idaho, and was appointed to the state Senate in 2001, where he served through 2009, when he was appointed lieutenant governor. At that point, he let his son take over his ranching operations while he focused on the government position, where he won re-election twice. He is leaving the spot in his bid for governor. "We believe Brad would be best for that job not only because of his experienced leadership but also his vision for Idaho," Parker says, "espousing basic Republican principles of personal freedom, liberty and lower taxes, which we believe has led to a booming economy." The two candidates will meet for a series of debates throughout October, with a debate hosted by KBOI radio and CBS at 11 am on Oct. 13, which will stream live on idahonews.com and Facebook, then another at 8 pm on Oct. 15, hosted by Idaho Public Television, and one more for a debate from 5:30 to 7 pm on KTVB on Oct. 29. Even with the election season heating up throughout October, LiCalzi says he doesn't think the candidates will necessarily get bitter or attack each other. The original print version of this article was headlined "Rock Star or Rock Solid"